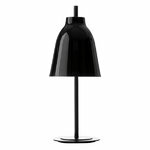 With Caravaggio table lamp by Fritz Hansen, Cecilie Manz' characteristic pendant lamp has come down to the table: Caravaggio table lamp is an elegant design piece that complements the Caravaggio pendant light, but it also stands alone boldly. 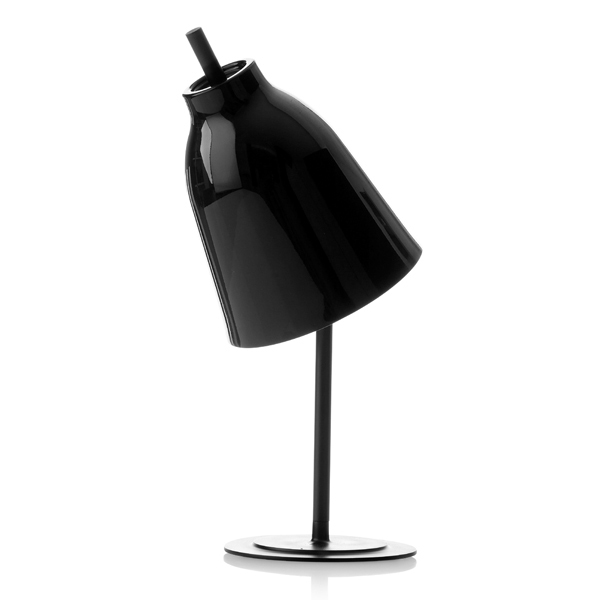 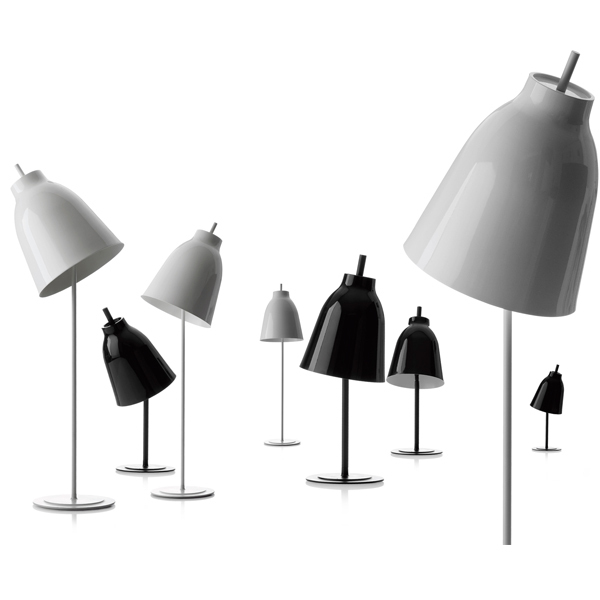 Its characteristic shade is high-gloss lacquered, while the leg and base have been given a matte lacquer finish. 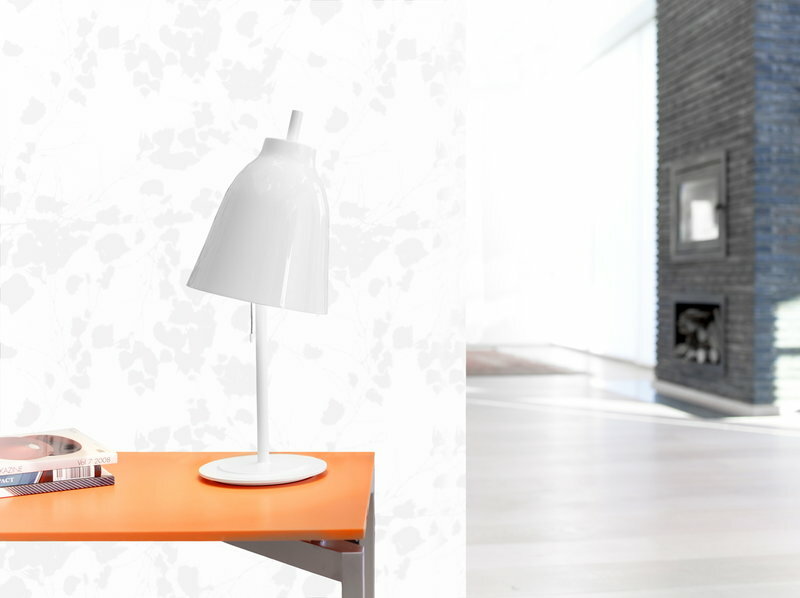 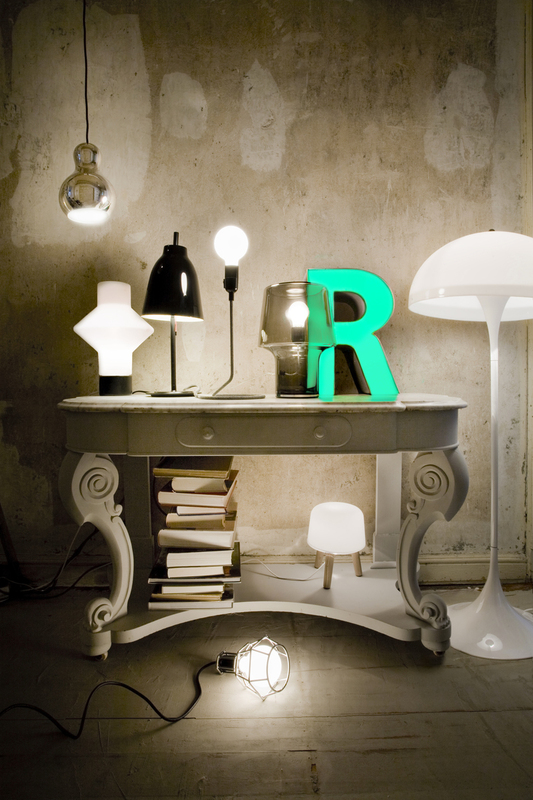 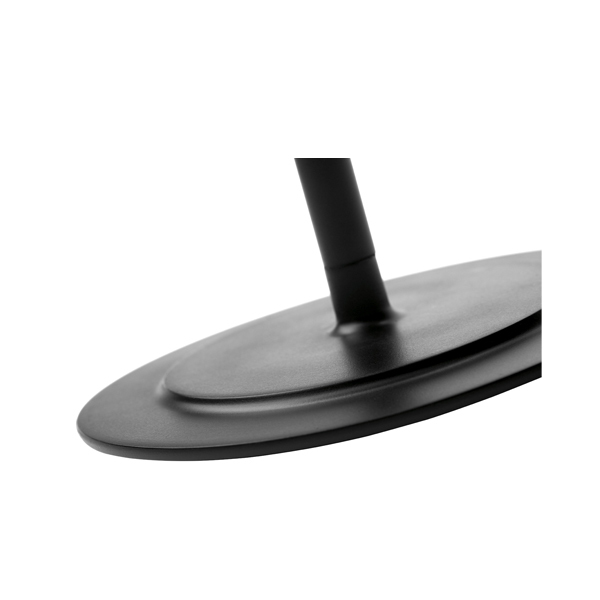 The lamp shade can be tilted up to 40 degrees, making the lamp more flexible and functional and allowing it to be used as a working light. The tilted shade also gives Caravaggio an exciting, asymmetrical look.